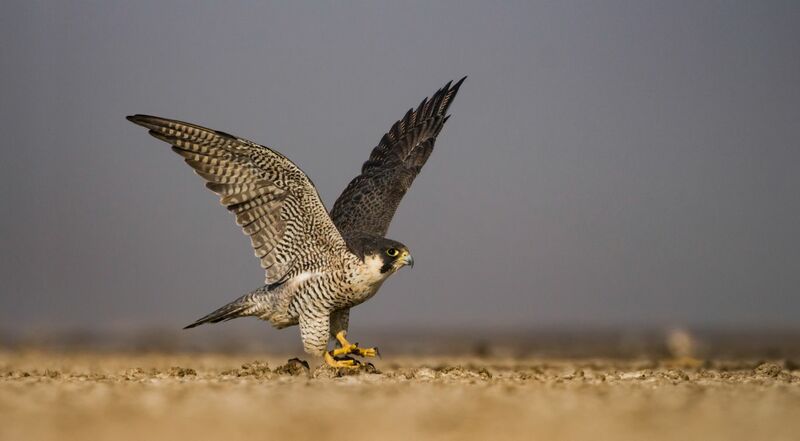 Fastest bird in the World - Peregrine Falcon. Peregrine falcon. Fastest bird in the world and can fly at a maximum speed of 389 kilometers per hour. Little runn of kutch, Gujarat.